The Carpetbagger: Where is "The South"? 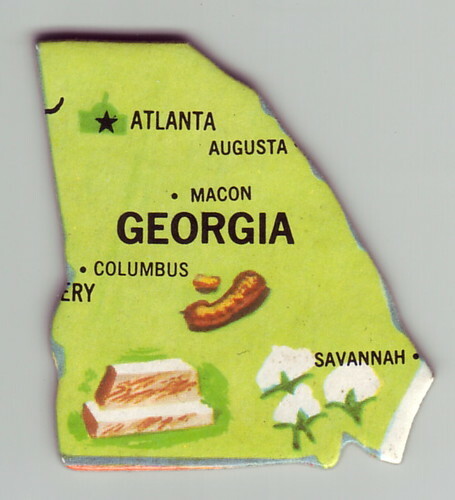 Okay, if we are going to be talking about "The South", the first thing is to establish where exactly "The South" is. 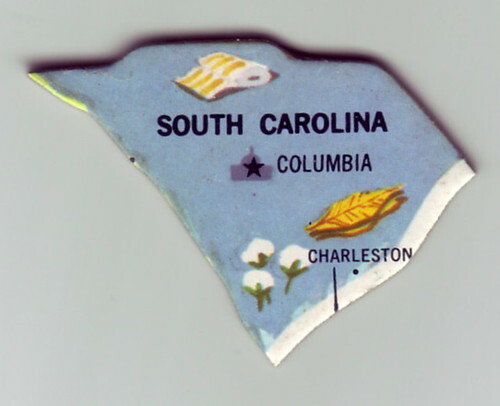 One would assume that the easiest way to determine what constitutes the South is the area that was occupied by the confederacy during the civil war. Let's see what Wikipedia has to say about that. Okay, not terrible............but not quite right either. No one is going to call Arizona and New Mexico part of the South and Texas and Oklahoma are a little iffy and what the hell is Missouri doing there? I could do some research and figure out why, but that would be pointless, because everyone knows Missouri isn't part of the South. Let's ask Wikipedia exactly what the South looks like. Okay, so apparently the dark red is indisputably part of "The South", while the lighter red are sometimes considered part of the South and the stripey ones are a toss up. I see this is going to have to take a little deducing. Let me be the judge of what should be considered the South. I will evaluate the South on a state by state basis. Okay, no real debate. Mississippi is part of the South. Look, there are even three pieces of cotton on it. Okay, again, There is no debate Alabama is part of the South. I'll even go out on a limb and say that Alabama may be the Southeist state in the South. 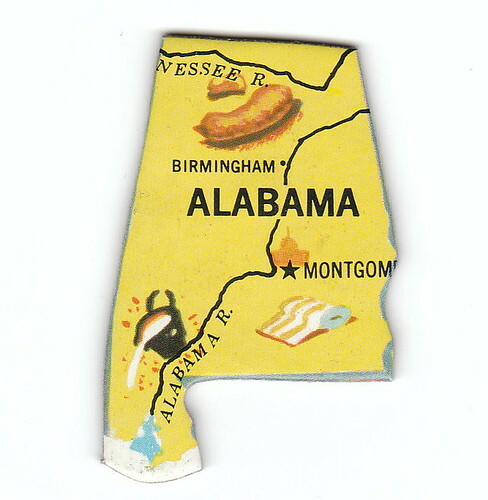 Ask someone to mention a Southern state to someone up north and they will most likely mention Alabama. "Sweet Home Alabama" is even the undisputed anthem of the South. Look, more cotton. 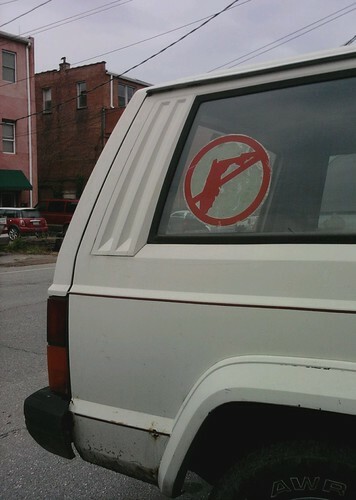 Definitely part of the South. Very very Southy. We have Nashville, the home of country music, Dolly Parton and her Amusement park, BBQ and the Blues. No one is going to take Tennessee's Southness away. Okay maybe this is alot more straight forward then I initially thought. The Carolina twins are definitely Southern. Okay, I have a deep dark secret. 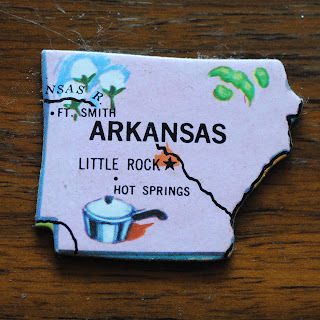 I have never been to Arkansas, but from what I hear it is very Southy. 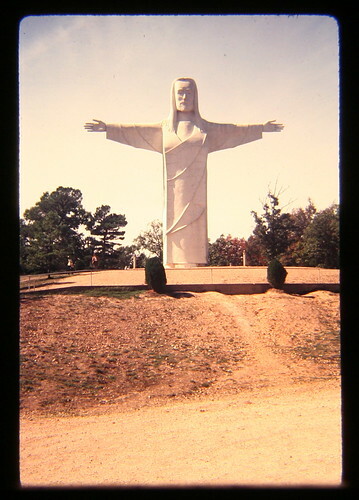 It has a big weird Jesus Statue called "Christ of the Ozarks." Here is old slide I found of the statue. 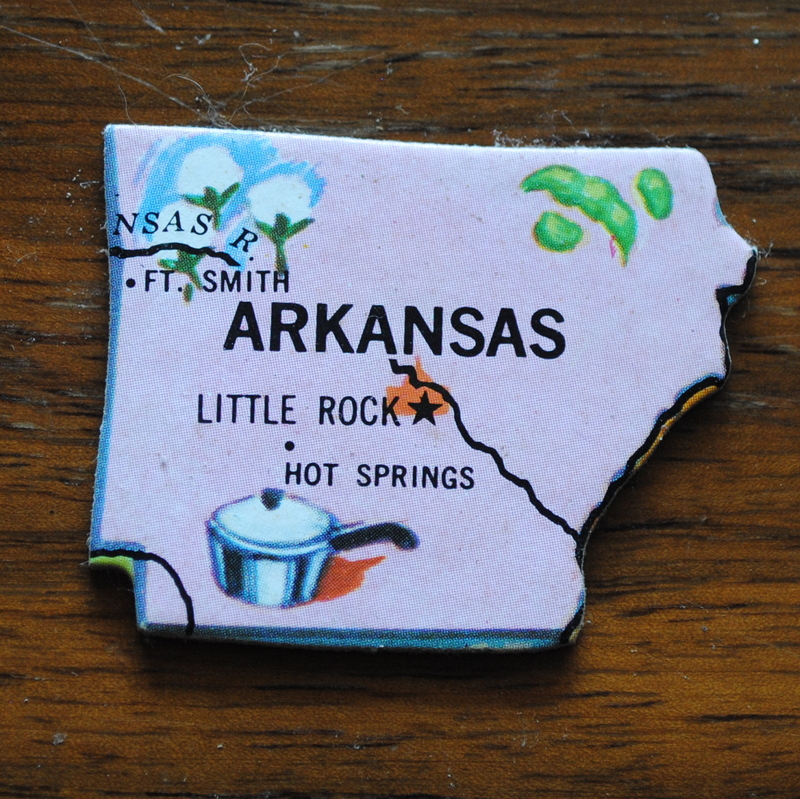 Yep, let's leave Arkansas in "The South". Plus, there is that cotton again. Okay, here is the last of the "definitely Southern" batch, but it is the cultural oddball of the bunch. It is the only place in the "The South" where anything french is tolerated. The food is different, everyone is catholic and alcohol is not looked down on in the slightest. However, the Cajun population shares a deep karmic brotherhood with the Mountain Men from other parts of the South. 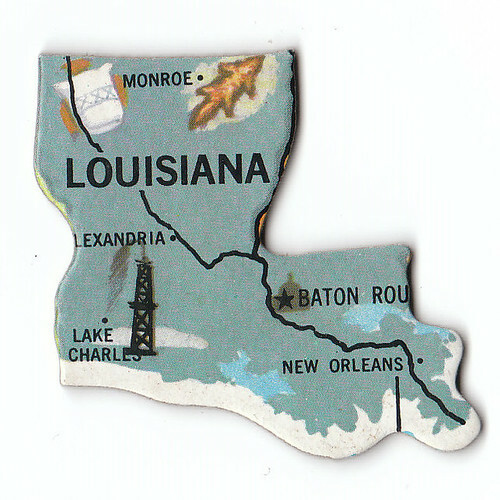 Louisiana is completely unique amongst states, but I think its safe to say that the South is proud to claim her. 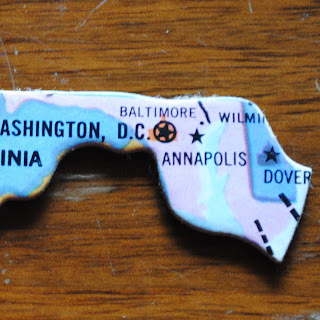 Okay, here is a state that is disputed. Texas was part of the confederacy and has bits of Southern culture to it. However, one could make an argument that Texas is much more influenced by "Western" culture. Texas also functioned as an independent nation for a time. Verdict: Not part of the South. Okay, don't take it personal Texas. This isn't an insult to you, but you have your own thing going on, your own unique environment and culture. Texas isn't really part of any region. Texas is kind of its own region. Texas doesn't need to be part of the South, its too busy being Texas. Verdict: Sorry Oklahoma, I am going to have to give you the big buzz. You are not part of the South. Your central location makes you a schizophrenic mix of Western, Southern and Midwestern cultures. You just don't have enough South in you. I'm a little unclear on where the dispute lies. 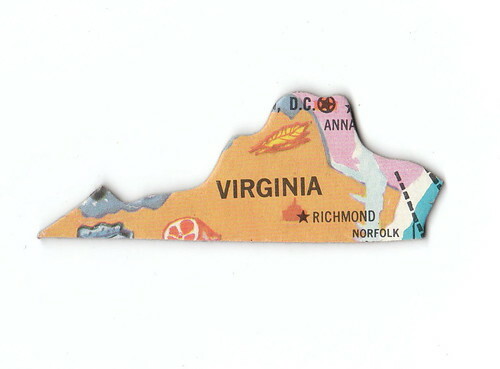 Virginia was the capital of the confederacy. That fact alone should makes it's Southiness clear. Maybe it just pokes a little far north for some people's liking. Okay, I understand the dispute a little more here. Kentucky does have kind of a midwesty vibe to it. Verdict: I'm calling Kentucky for the South. 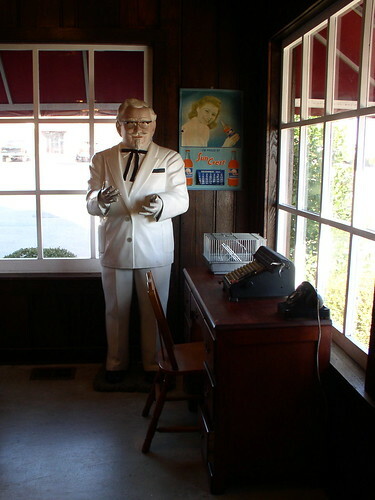 I will credit one man for this: Colonel Sanders; one of the most recognizable human beings walking planet earth. He walked around in a white suite eating fried chicken and referred to himself as Colonel despite not serving in the military. He is one of the Southiest people to ever walk the planet and his name will forever be connected to Kentucky. Okay, this is a controversial one. If you stopped someone here in the mountains and asked them if Florida was part of the South, you would probably get a resounding "NO". There is a little resentment towards Floridians (or Floridiots as they are called here), in the Mountains when they swarm our small towns trying to get away from their own sweltering heat and hurricanes. They don't even have accents! 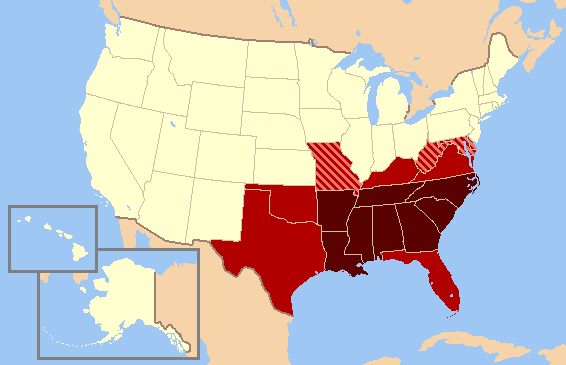 Verdict: While I am tempted to give Florida its own regionhood like Texas, I am going to include it in the South. Their history of roadside tourism and alligator wrestling are just to rich to be welcomed in the South. Plus, there is part of Florida known as the "Redneck Rivera" and the worldest largest Confederate Flag is in Florida. 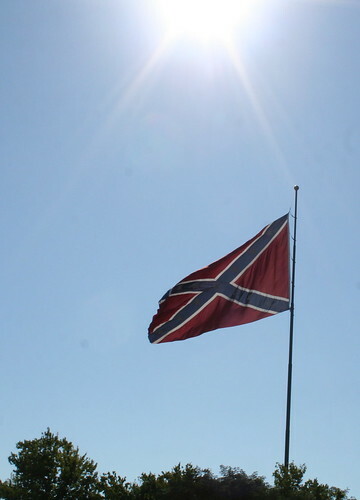 There is nothing in that picture to show scale, but that is indeed the world's largest confederate flag in Brandon, FL. Verdict: Seriously, how did Missouri get on this list. Missouri is not part of the South and it never will be. A lot of people don't consider West Virginia part of the South. It is pretty far North. It was part of the confederacy, but here is the kicker: it succeeded from the Confederacy. The only state to double succeed. The Verdict: Its part of the South. Just take a drive through West Virginia. It is the poster child for crippling Appalachian poverty. What is more Southern then that? Wait, what? How could Washington D.C. the capital of our nation and the center of its fight against Rebel forces of the Confederacy be considered Southern? How could I even put this on a list giving it possible inclusion into the south? 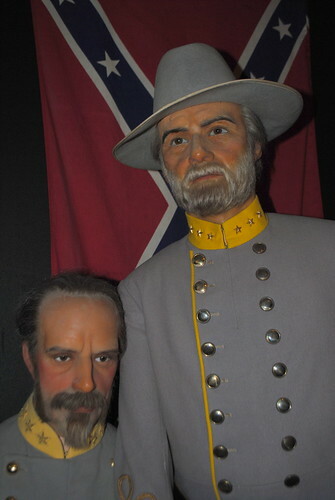 This is Robert E. Lee as interpreted by Potter's wax Museum in St. AuAugustine, FL. 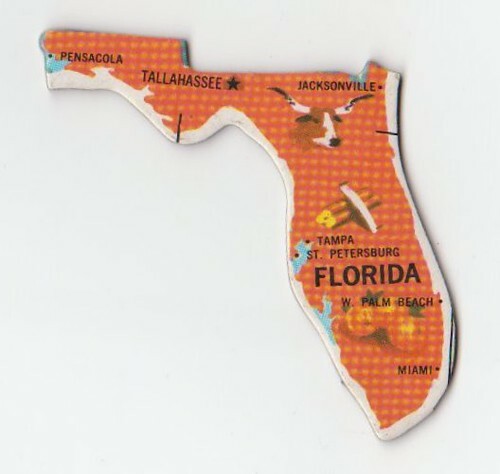 (See I told you that Florida was part of the South). He is the one standing up. He was the leader of the Confederate Army, but no one is doubting his Southiness, right? Now take a look at the view from his front porch. 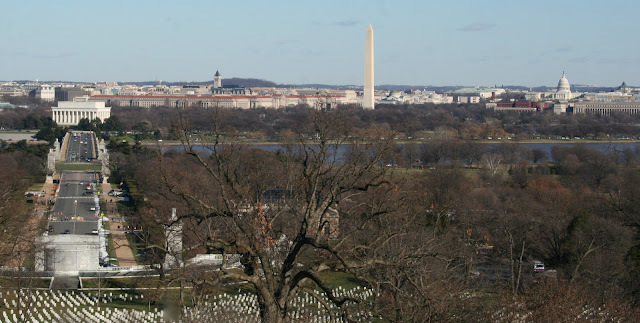 That big tall thing in the middle, that is the Washington Monument, to the right is the Capital building and over to the left is the Lincoln Memorial. Verdict: I'm going to say that Washington, DC is the one city in the country that is both part of "The South" and "The North". 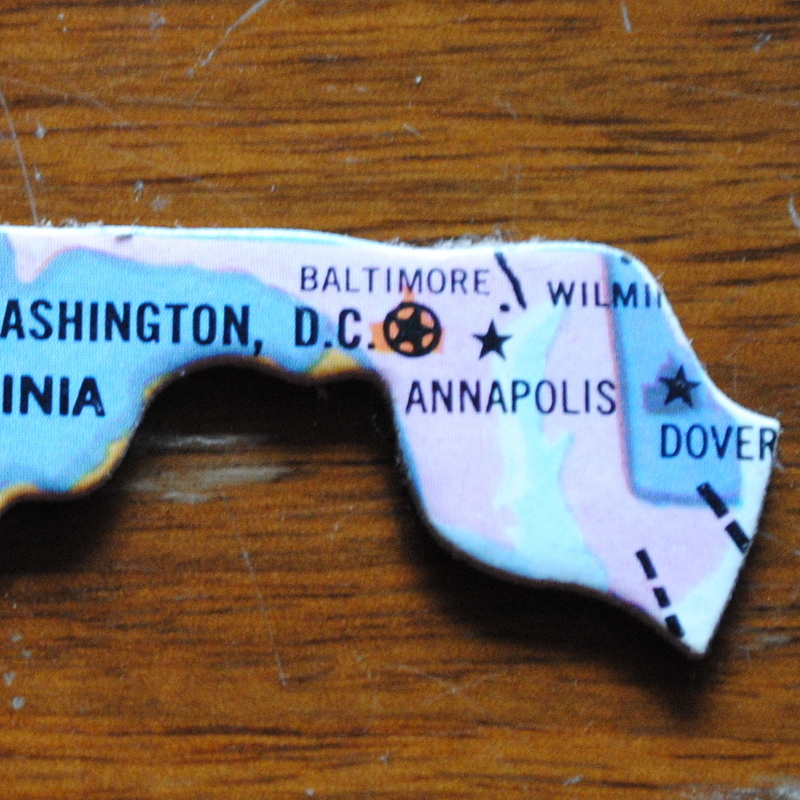 Just like it magically avoids being part of one state it magically avoids having to align itself with any region. So, there you have it I have taken out all the guess work and created a definitive "South". You're welcome. Welcome to the Carpetbagger Blog!